Clinic Synopsis: It is widely known that many talented teachers leave education within the first five years of employment. Kennell and Wood will present the seven characteristics that exemplary music educators share in any setting. Establishing these positive habits will help reduce attrition not only in our music programs but also within the ranks of music educators. Clinician Biographical Information Kevin Wood is in his sixth year with the Cypress Woods band program. Previously he taught in the Aldine Independent School District at Aldine High School and Plummer Middle School. He began his teaching career at Northshore High School in Slidell, LA. 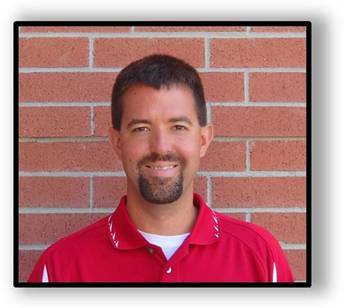 Mr. Wood received his Bachelor's Degree in Instrumental Music Education from Louisiana State University in 2002. At LSU he studied trumpet with James West and conducting with Dr. Linda Moorhouse and Frank Wickes. He completed a Masters of Music in wind conducting at Sam Houston State University under the guidance of Director of Bands, Dr. Matthew McInturf. Mr. Wood is a former marching member of the Cavaliers Drum and Bugle Corps. He has served on the instructional staffs for various drum corps including the Academy, Colts, Revolution, and Santa Clara Vanguard. He is an active drill designer, adjudicator, and consultant/clinician with many bands across Texas. Mr. Wood has co-presented clinics at the Texas Music Educators Association Convention and co-authored an article in the Southwestern Musician magazine. He is a member of the Texas Music Educators Association and the Texas Bandmasters Association. 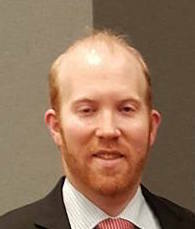 Second Clinician Biographical Information Aaron Kennell is currently in the third year of serving as the Director of Bands for Chester W. Nimitz High School in the Aldine Independent School District in Houston, TX. He directs the award-winning Wind Ensemble and Roaring Cougar Band, and oversees all aspects of the band program. Previously, Mr. Kennell served as an assistant band director at Plummer Middle School and Aldine High School in Houston, TX as well as Randall High School in Amarillo, TX. Mr. Kennell received his Bachelor of Music Education degree from Bowling Green State University in 2006. He studied trombone under Paul Hunt, Sean Flanigan, David Jackson, and Bill Mathis and conducting with Ryan Nowlin and Bruce Moss. He completed a Master of Music degree in Music and Human Learning at the University of Texas in 2011 under the guidance of Bob Duke. Mr. Kennell is an active adjudicator and consultant/clinician with bands in Texas and Ohio. He was co-presented clinics at the Texas Music Educator Association and has written articles for the Southwestern Musician and the School Band and Orchestra Magazine. His professional affiliations include the Texas Music Educators Association, Texas Bandmasters Association, International Trombone Association, and Kappa Kappa Psi.